Highest power to wire transfer rate EEE 96% (Electrical Energy Efficiency) ensuring minimal losses and maximum use of available power. Uses parabolic control algorithm to ensure high degree of heating accuracy for all line speeds and wire sizes. Integrated “spectral radiation” InteliTHERM temperature measurement (optional) available for higher precision of wire temperature measurement and control. Preheats solid wires up to 1.6mm in diameter and stranded wires up to 1.95mm in diameter. 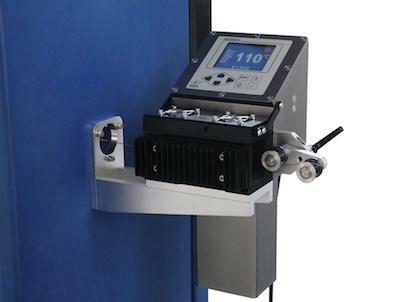 Available in 400 and 480 VAC 3-phase mains supply voltage models. The ProTHERMIC PH Series are a comprehensive range of High Frequency induction Preheaters featuring the latest advanced High Frequency solid state technology. 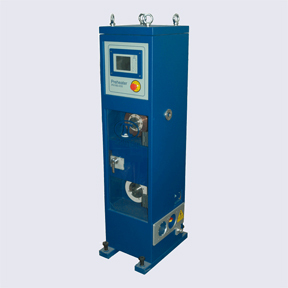 Wire preheating is an essential operation to achieve elimination of wire moisture, improve stripping characteristics, and avoid pin hole and bare patch faults. The Proton InteliTHERMTM Spectral Radiation non contact wire Temperature Gauge is now available for use with new or existing preheaters. Proton Preheaters have a high degree of accuracy during preheating, however for some applications when temperature stability and precision are critical the use of the InteliTHERMTM SRTG device can further enhance temperature stability. The InteliTHERMTM SRTG series connects directly to the preheater control module providing fast and precise temperature feedback and control. This makes operating the preheater as simple as just setting the temperature and pressing go. The preheater is powered from a 3-phase mains input, which is converted to a high-frequency supply by a specially designed inverter, the output of which is automatically adjusted to deliver the necessary power to maintain the required “Preset Temperature” regardless of wire size or production speed. The preheater is fully protected against mains supply phase loss or brownouts.